The unique island formation means that we have riverside moorings on the River Avon as well as the more sheltered ones in the creek. If you’re looking for a rural mooring in the Gloucestershire or Worcestershire area with easy road access from the M5 then Bredon Marina is ideal for you. Bear in mind that the area is prone to flooding and at these times access is not permitted to moored boats for safety reasons. During floods the river is not safe to navigate so this will not restrict the use of your boat. We do regular checks, however, boats that are correctly tied will safely rise and fall with the river levels. 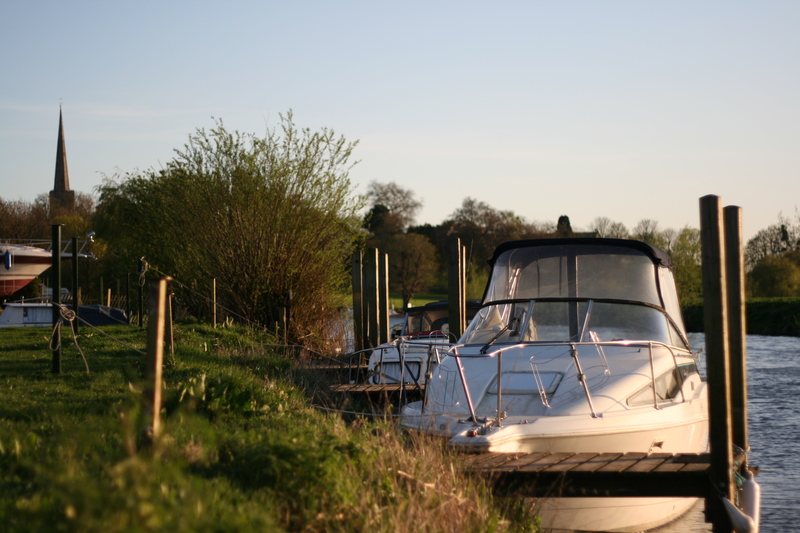 Moorings are rented for 12 month periods (from 1 April to 31 March) although not if joining part way through the season (subject to availability). Annual fees are based on the length of the boat, with a minimum charge for a 20ft boat. Mooring fees can be paid either monthly by standing order or 6 monthly in advance by cash, cheque or bank transfer. Mooring fees for this season (1/4/15 ~ 31/3/16) start at just £954. Click on the booking form below for a full list of prices. and don’t include craning, servicing, etc.